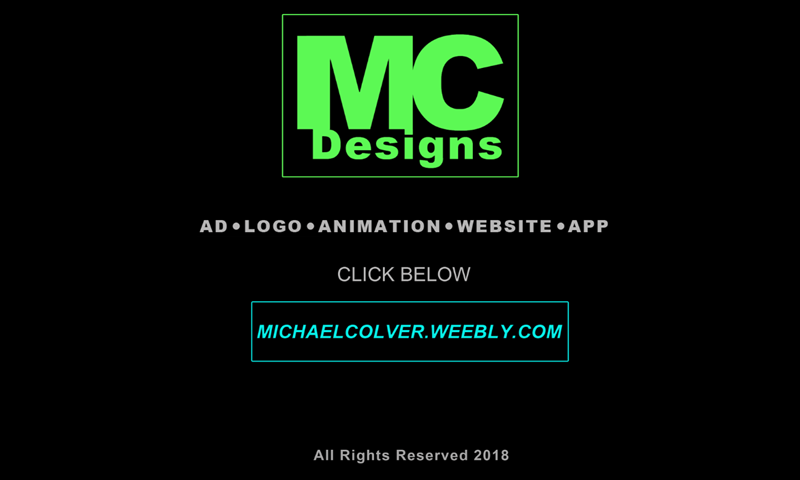 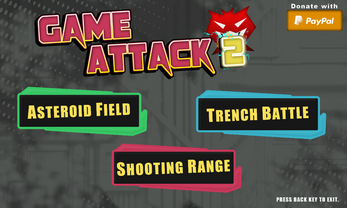 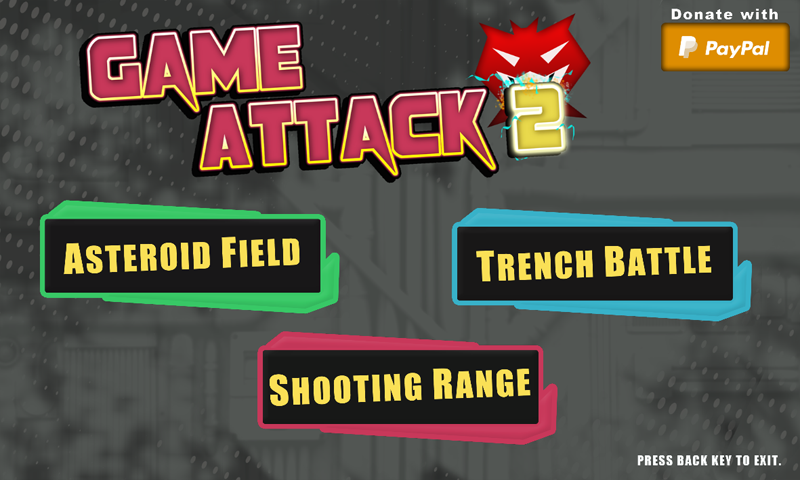 Game Attack 2, play three different games in one app. 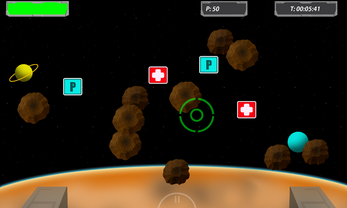 Play Asteroid Field, save the alien planet, before asteroids hit it. Play Trench Battle, save the hubs in and away from the trench, before their destroyed by bombs from the alien ships. 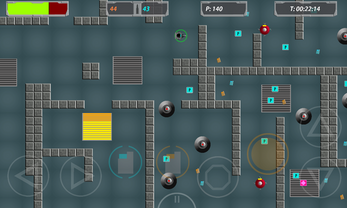 Play Shooting Range, move through the maze, shooting robots and bombs to make your way to the green building at the end of the maze. 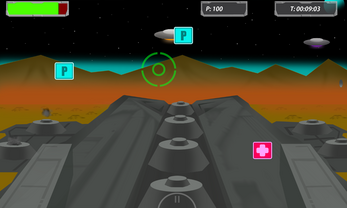 All three stages require current number of points to play.